Western Express, Inc. is an asset based truckload carrier, founded in 1991 by Donna and Wayne Wise*. In the last 20 years the company has grown to become a large tier industry truckload carrier with 2010 annual revenue in excess of $432 million. This extraordinary success has been achieved through a combination of internal growth and strategic acquisitions. Western Express, Inc. is a service focused company. Our first goal is to serve the needs of our customer, while also focusing on lanes and areas that can provide profit to our company. Our service offerings include Truckload Van, Dedicated Fleet, Flatbed Transportation, Logistics and Expedited Truck/Rail. We are fully EDI capable and offer web based viewing and retrieval of invoices and proof of delivery documentation. We take pride in our fleet. Western Express, Inc. runs approximately 2500 power units and in excess of 6500 trailers. 100% of our power units are satellite tracked. 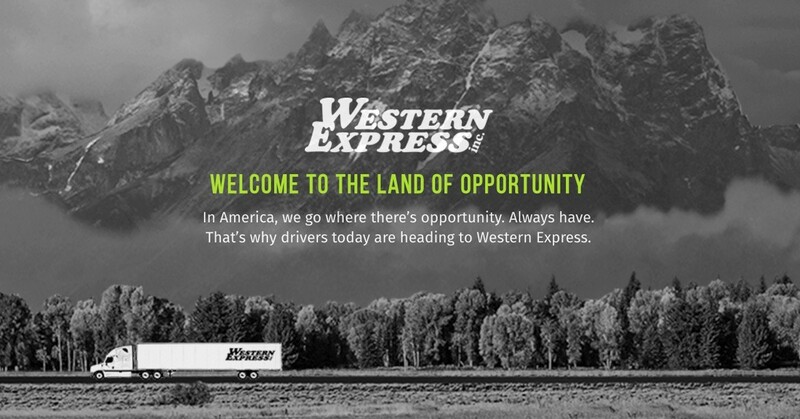 877-973-1380 for Western Express Driver Jobs!